Spurs being #1 is more a function of Everton falling than anything else. After my initial research, Spurs and Everton were the favorites, with Stoke City, Aston Villa & Crystal palace being the dark horse candidates. The idea was that I wanted to support a team that was not one of the classic powerhouses, but had a feasible chance of doing actually well. I didn’t actually see the Spurs’ match, but at least they won, right? So the benefit of choosing Everton has always been that they seem to be a team on the upswing and they’re doing it with some significant American presence—namely, Tim Howard. The only reason they weren’t an initial slam dunk was my hesitation at seeming too bandwagonesque after the World Cup. But not only was their match against Leicester City super boring, Howard let up two goals. Granted, one of them wasn’t really his fault, but still. There’s still a ways to go here, but it was enough to nudge Tottenham ahead. Here’s the big surprise. Initially Liverpool was in my group of “mega teams too obvious and evil to support” but I’m giving serious reconsideration here. Not only was this a super fun match to watch, but I enjoyed the style of play and the personalities. Plus the tag team of Sterling & Sturridge sounds like exactly the kind of English firm I want to invest in. Liverpool also has the benefit of having significant 70’s nostalgia (which draws me to, for example Saint-Etienne as well) without being too evil recently. Especially with Saurez gone. And they have a really really good shot of actually winning some stuff this year. They might be rising yet in my list. The Villains were probably initially tied with both Stoke City and Crystal Palace, all three being examples of the same idea: teams with no real shot at winning but with significant underdog cred. Plus they’re called the “Villains” for chrissake. And they’re the favorite team of both Black Sabbath and Prince William. And have been compared to my Chicago Bears. And they won the Derby with Stoke City in week one. Strong. So, to be honest, the initial attraction here was all based on my affinity for Walter Benjamin’s Arcade Project. And the chance to root for a London (meaning: a team I might actually get to go see) team that’s not one of the “big ones”. But their combination of up-and-coming-ness along with the drama of their manager quitting days before the first match is pretty intriguing too. And the match with Arsenal turned out to be a pretty solid watch. And I kinda like those powderblue and yellow uniforms. 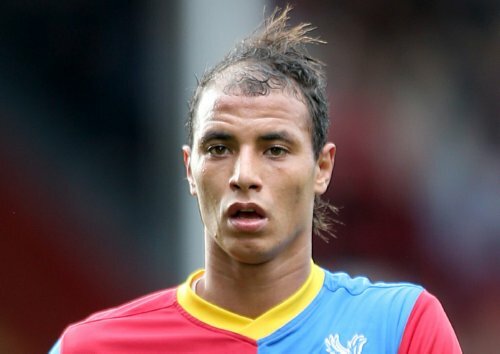 But I’m not sure I can deal with Marouane Chamakh or his hair, which makes him look like the world’s ugliest dog. I just wish they’d go back to being called the Glaziers. Maybe it was just a function of one good match against Liverpool, but this seems like a fun team. I definitely wanted them to win. They sold all their good young players this summer, which I guess they have a habit of doing, but I’ve got my eye on them. Another potential riser. If this were 2003, I’d have already picked them. I almost did. i was a huge Thierry Henry fan. I guess if someone forced me to pick one of the big teams, this would have been the one I’d have gone with before my new Liverpool flirtation. But I have to say, I didn’t hate them when I watched them last week. Hey, they beat Man U. For some reason I found them vaguely intriguing. They’ve been described as the Oakland Raider fans of the Premiere League, which is kinda a turn off, but there was something there (despite the 0-2 loss). Maybe it was just the negative glow from playing against Man City. Plus they have a habit of gobbling up French players, so it might be the closet I can get to following Ligue 1. The only reason Sunderland’s above the below jumble is Jozy Altidore. But that’s not much. I have no reason to like or hate any of these teams. Blah. If this team bought a condo it would be in San Francisco’s Marina District. Not even the residue of my Drogba love can help them. In fact, I still kinda resent them for taking him from me. There’s been a backlash against the idea that rooting for them is like rooting for the Yankees. Don’t believe the anti-hype. When I lived in Paris, there was an English banker who lived in my neighborhood. He would come down to the bar but, since he refused to learn English, I was the only one who’d talk to him (and only then because he’d pick up the tab). He wasn’t evil incarnate, but it sure feels fun to root against his team. This insta-team has been described as “for bottle service kind of guys”. ‘Nuff said. It’s the last team I could imagine rooting for.